NASA’s astronomers discovered an unique phenomenon with Markarian 335 Black Hole. 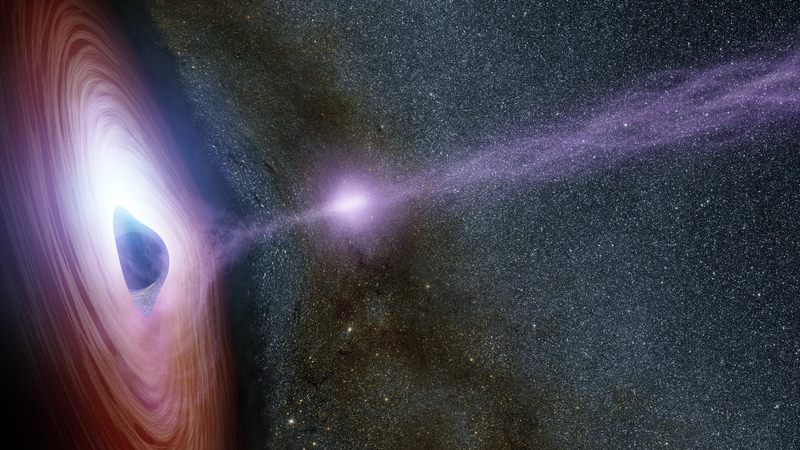 Two telescopes for astronomical observation, Nuclear Spectroscopic Telescope Array and NASA’s Explorer missions Swift, have managed to caught a supermassive black hole in the midst of a giant eruption of X-ray light. 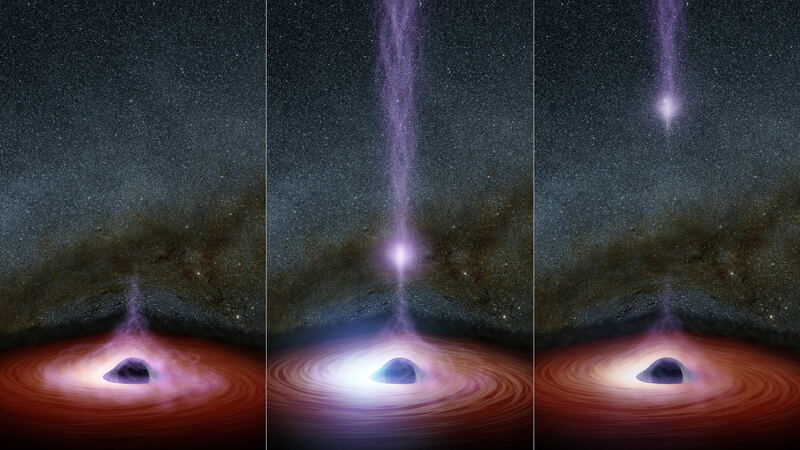 Until now it is known that black holes don’t give off any light themselves, many of them have been spoted being encircled by a disk of hot glowing material, resulting coronas made up of highly energetic particles that generate X-ray light. Markarian 335(or Mrk 335) is located 324 million light-years away in the direction of the constellation Pegasus. It sits at the center of the galaxy and it was once one of the brightest X-ray sources in the sky. The “lampost”: similar to light bulbs, they are compact sources of light that sit above and below the black hole along its rotation axis. The “sandwich” model keeps a surrounding disk of material like slices of bread. That happened in 2007, but back in 2014, Swift caught Mrk 335 in a huge flare. A request to the NuSTAR team was quickly sent by Gallo once he found out. Eight days later, NuSTAR set its X-ray eyes on the target, finally witnessing the final half of the event. Putting this all together, they have released the results, showing that the X-ray flare was caused by the ejected corona.